Have a Small or Exotic Pet? Dr. Diaz is the Vet for You! In a city like New York, space is limited and so is time since so many people are out on #thathustle. While many of us love big dogs and mischievous cats, these animals need space to romp and roam. I'm a lover of animals but also have a comically small New York-style apartment and a horribly busy schedule, so I knew a little hamster would be right for me. Hamsters and similar pets like rabbits and guinea pigs are also common for kids since they don't need to be walked. These are the reasons I got Triscuit. 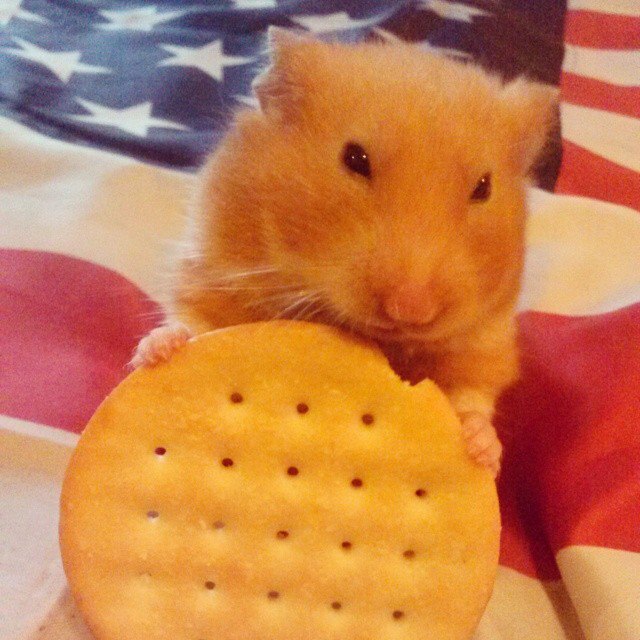 Triscuit was a Bushwick Resident for nearly two years, which means she was up there in hamster years. I noticed she was breathing heavily one day, so I searched for a neighborhood vet. I've heard great things about Dr. Loose, but an appointment was $75 before medication, which was hard to swing. Also, not everyone operates and examines small and exotic pets. While searching for a neighborhood vet for my lil' furry friend, I found Dr. Orlando Diaz. Dr. Diaz is based out of the Williamsburg Animal Clinic on Grand Street. The best part is, he works late – until 7 pm on weekdays – and can take emergency walk-ins which was just what my lil' hammy needed. While there, Triscuit was stressed from travel, so the staff offered to put her in a back room while we waited away from the other animals. Dr. Diaz saw her as soon as he was able. It turned out what I thought was wet-tail was actually Polymetra so it's a good thing I didn't just go to the pet store and try to pick up some treatment. He prescribed Triscuit some medication after the examination, and gave me a free follow-up appointment. The total with medication came to $75 which is a low price for the life of lil' friend that you love. Triscuit happy and healthy, on the 4th of July. In the followup appointment, Dr. Diaz noticed she was still sick and was very gentle when he had to give me some hard news. "It looks like we should operate on her, but given her age, there's a large chance she won't make it, but it's the only chance we have." He then told me, "Since I've only done this operation on guinea pigs and rabbits, I'll only charge you $75 for the operation, and if she doesn't make it, we'll send her to the cremation at no additional cost." I had to respect that he was being honest. I knew she was in good hands, so I agreed. He kept Triscuit overnight for free so she wouldn't have to travel back and forth again which would add to her stress, and operated on her first thing in the morning so she would have time to recover by the time I came to pick her up after work. Dr. Diaz called me that afternoon and said, "Good news! She made it through the surgery." I went to pick her up, and although a little wobbly, she was walking around and drinking water. The incision was clean. He also gave me some medication to help her fight off any future infections. Triscuit passed along to her big wheel in the sky this week because of her age and the complications of her condition, but I have to thank Dr. Diaz for bringing her so far. Not everyone would care so deeply for such a small pet, and do so at an affordable cost. So if you or your little one has an even littler pet, you know where to take them: Dr. Diaz! 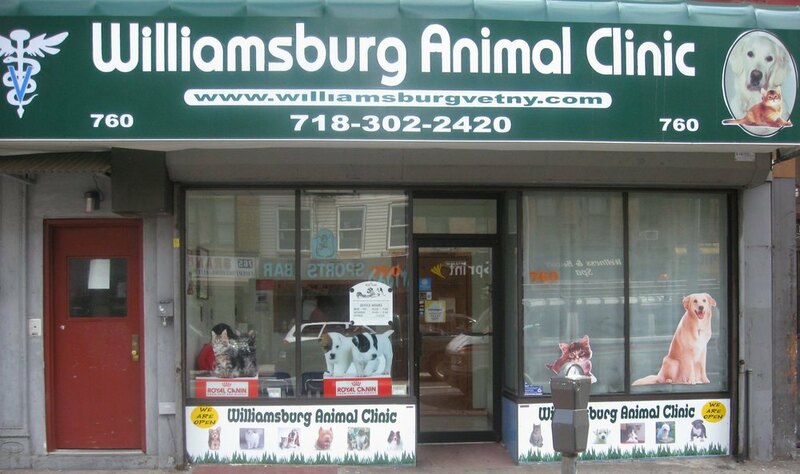 Williamsburg Animal Clinic is located on 760 Grand Street. They can be called at (718) 302-2420.